Take a break for the pause that refreshes. Experience a variety of 30-minute meditation practices led by trained practitioners. Whether you are an experienced meditator or brand new to the practice, come join us to explore a variety of meditation traditions. Every class is located at the Contemplative Practice Center (Newman Center lower level, accessible by stairs only) (map). For accommodations and class information, please email Glenda Pape. 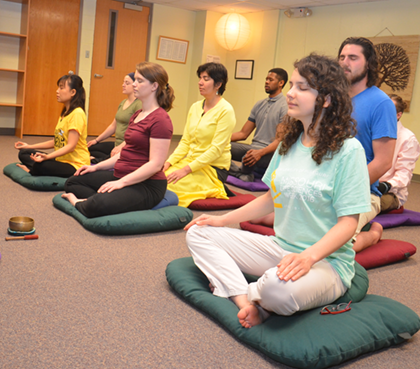 No enrollment necessary; noon meditation sessions and all supplies provided are sponsored by your student health fee.